Davao, nowadays most popularly known to be the home of the 16th President of the Philippines, Rodrigo Duterte, is located in the southeastern portion of Mindanao. The Davao Region is composed of five provinces namely Davao Del Norte, Davao Del Sur, Davao Oriental, Davao Occidental, and Compostela Valley. Davao City is the Region’s Center and the home to what is considered the busiest airport in Mindanao, Francisco Bangoy International Airport. This flight was booked November of 2015 for a solo travel. Just like a few old stories of my travel life, this turned into a 7-pax fun trip. No regrets. Samal, officially known as Island Garden City of Samal, is just 10 minutes away from Davao City via the ferry service at Sasa Wharf. From the airport, you may take a cab to the wharf, which may cost Php120-150 per ride. This ferry also transports cargo containers, trucks, small and big vehicles. It operates 24 hours. Fare is Php10.00. If you ride those buses from the city going to Samal, your bus fare covers the ferry fare, too. The bus loads itself into the ferry. 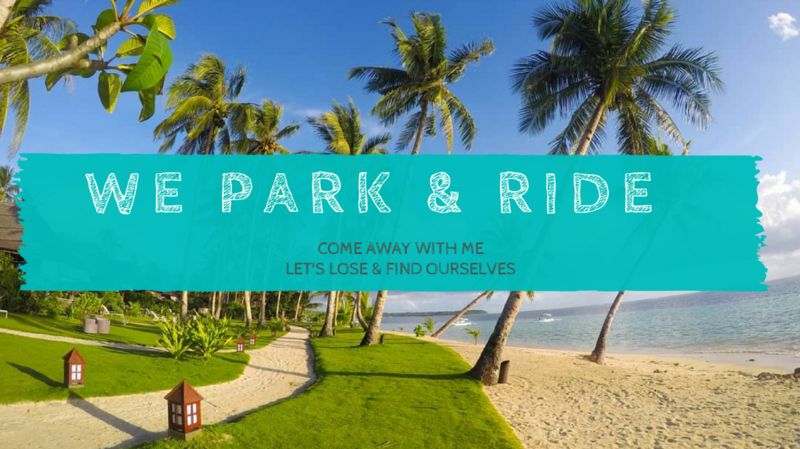 This ride gives you a glimpse of the life in Samal – people, livelihood, tourism, way of life. They are all in one ride. Trip is pleasant. Ferry is clean. There are vendors selling quick bites for the hungry. View is refreshing. From Camp Holiday, a habal-habal ride going to Brgy. Catagman is available at Php50/head. Tricycles are also available but habal-habal is the way to go around Samal. Hagimit Falls is about 20 minutes habal-habal away from Brgy. Catagman where we are staying. After luggage deposit, we headed straight to it. Entrance fee is Php45/head. If you wish to keep a table or hut for your belongings, you may need to pay more. A long table costs a hundred. Sundays are easy to predict in places like this. It is packed but with a good mix of locals and tourists. It was the perfect place to go to after a long habal-habal trip under the sun because the water is so refreshing. Going during the weekend may not be a very smart move if you want less people around but to the moving soul, this might just be a gem to watch. After Hagimit Falls, we went to the Vanishing Island. From our jump-off point, there was an unfinished bridge. I’d expect for it to be finished by the time I get another chance to come back here. Its intention looks promising. When the tide is low, you’ll have to walk your way to the boat that will bring you to the island. The boat can only take four per ride for safety purposes and may cost Php300 to stay in the island for hours. Let me tell you that the walk can be a challenge during low tide. I meant wet, slimy walk. But for the adventurous, this might just be the highlight of the day. When the bridge gets completed, I imagine this should just be a breeze. Not very far is Monfort Bat Sanctuary in Barangay Tambo. This place has received the Guinness World Record in 2010 as largest single colony of its kind. The Dabawenyos are grateful for these fruit bats for bringing bountiful fruit harvest every year. These bats are good pollinators of Durian flowers. Durian is Davao’s famous offering. Kaputian Beach is the jump off point to Talicud Island. It is a 45-minute ride away from our hostel. You may also go straight to this point from the ferry. Kaputian Beach in itself is already worth the stopover. A few meters away from the docking area is a resort that offers nipa huts and a white sand beach. We only have half a day to finish the tour we signed up for. We were originally set to explore four islands but decided to just keep it at two so we can catch up on our next reservation for Davao City and to stay longer at Isla Reta. Isla Reta‘s charm not only relies on its fine sand and clear waters but also from the beautiful facade of trees that welcome you as you approach the island. It also serves as shades for visitors and a source of fresh, cool air. It is always nice to see resorts that are able to keep and take care of trees around them. A day tour in Isla Reta costs P100 per pax. This includes use of tables and chairs, grill, and the volleyball court. They offer cooked meals for Php120 -up. TIP: There is a sari-sari store in one corner that may be able to cook more choices for you at more affordable prices. Find it. If you walk a little farther to the right side of the resort, you will find a spot with much clearer water and is less crowded. View is stunning but take extra care as it is surrounded by sharp rocks. A few minutes away via boat is Little Vanishing Island that you will get to enjoy more during low tide so you can walk the island. Nevertheless, my friends enjoyed swimming the area. Snorkeling can also be done due to the clear water and the various colorful starfishes under. Jack’s Ridge Restaurant is the right spot for good food and stunning view of the city. It’s a perfect choice to end a trip because of the relaxed ambiance. Whether you dine in daylight or under the stars, you’ll be in for a treat. Duterte’s Residence is another to be curious about. I mean, wouldn’t you be? You can get a cab to visit but know that you will get dropped off at a certain spot a few meters away and will be required to register your names for obvious reasons. Ponce Suites is a hotel in Davao City that has become a travel destination due its charm, which lies in its unique artistic features. They welcome visitors even if you don’t intend to stay there. There is a cafe you can dine at and you are free to take photos of the art pieces. The mind and hands behind all its beauty is the son of the owner, Kublai Ponce Millan. He is the same genius behind many giant sculptures in Davao. The Philippine Eagle Centre is situated in the Malagos watershed. It is a conservation breeding facility for the majestic Philippine Eagle. Entrance fee for adults is Php150. Before you walk right into it, you can see several stores from where you can buy souvenir items. Pasalubong Centers can be found almost everywhere in the city. Most drivers know where to bring you. In Samal, we opted to stay in a dorm-type bed and breakfast. We’ll be going around the island the whole time so there is no reason to get an expensive accommodation. Our room is good for 8 pax with two bathrooms and an AC. There’s free breakfast and wifi at the lobby. It cost us P2,7oo+ per night. That’s like Php300+ per head. You may be able find cheaper ones but this one is just right for us. We wanted private access to the bathroom. In fact, we got two in this room. Please be warned though that there is rotational power interruption in some parts of Samal. There is no specific time provided. If you have a car, parking space is available. The hosts, Nino and his mom, were very warm and accommodating. Nino is very responsive to inquiries, which helps you make decisions faster. He also gives all necessary information you may need in going around Samal. You may find La Vida Orchard Bed and Breakfast via AirBnb. Sign up and use this link to get your first travel credit. In Davao City, we stayed in a very nice two-storey modern house in a quiet neighborhood. We have full access to three spacious bedrooms, very clean kitchen, and a welcoming receiving area. It cost us P2,900+ for 7 pax with the whole place all to ourselves. The house can comfortably accommodate 8. However, they offer extra beddings for bigger groups. They also offer car service for city tours which ranges from Php2000 and up depending on the destinations. This would be a better choice if you are in a group. We were not able to go to all the spots we wanted to visit because of the weather. We made it to Eden Park but had to go back because rides were not allowed due to the rain. The rides were the only reason we went up there. Better weather next time! The gem of this place is their caretaker, Ate Jiji. She’s an angel! She took care of us well. Her family lives in Cotabato. She was fully trusted by the owners to take care of this house. The place is almost always fully booked so imagine how busy she gets to be everyday. If you wish to rent this place, you may find Ms. Antonette Menoza via Airbnb using this link and you may get free credits on your first booking. One weekend is not enough to explore this beautiful place. I feel like we barely scratched the surface of even the very places we spent the most time on. Another round is surely on the to-do list.